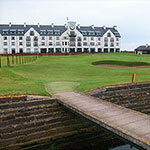 Though the championship credentials of the Old Course hardly require justification, the venue has played host to 25 Open Championships and many other events over the years. And while it measures almost 7,000 yards from the championship tees, the visitor is more likely to take on the 6,566-yard challenge. 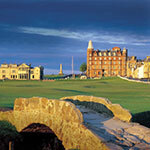 The New Course at St. Andrews Links opened for play in 1895 and as such, it is the second oldest of all the courses in St. Andrews. Given that the championship length of just over 6,600 yards is matched by a par of only 71, it is quite clear that as well as everything else, adequate length is also a factor in the successful negotiation of the New Course. Situated two miles from St. Andrews, the elevated parkland setting of The Dukes Course provides majestic views over the coastline to Arbroath and the countryside to the Highlands. 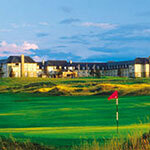 Dukes has become another sparkling jewel in the St. Andrews’ golfing crown. 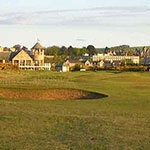 There are some golf courses that thrive on the reputation of its surroundings but this is far from the case with the Jubilee Course, which is widely regarded as being the toughest of all the links in St. Andrews. Created on a narrow strip of land between the New Course and the sea, the Jubilee Course started life as a 12-hole layout and was extended to 18 holes in 1905. St Andrews Bay perches on a breathtaking cliff-top location, just minutes from the town of St. Andrews. Though neither course is a links in the truest sense of the term, both golf courses are of links style layout and offer dramatic views of the historic St. Andrews skyline and of the North Sea. Located directly on the North Sea coast only six miles from St. Andrews, Kingsbarns Golf Links is without a doubt one of the most breathtaking courses in the world. 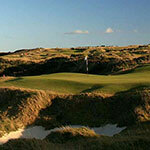 Though it only opened for general play in July 2000, it is not untrue to say that the links appears to have been in existence for centuries, as golf was played on this very site as far back as 1793. Though records speak about golf or “gowff” to be more specific, being played in the area as far back as 1520, the present course was molded by successive architects over the years since the initial ten holes were laid out in 1842. With judgments of wind and distance critical, every tee shot needs careful placement to set up an approach to the green. 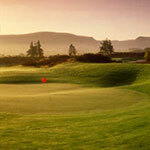 There are three superb championship golf courses at Gleneagles. The Kings Course and the Queen’s Course were both designed in 1919. The PGA Centenary Course, previously known as the Monarch’s Course, was designed by Jack Nicklaus and opened for play in 1993. One of the world’s oldest golf clubs, Crail Golfing Society was founded in February 1786 and initially comprised membership of just 11 local golfers. 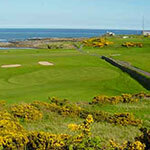 Crail boasts two links golf courses – the Craighead Links and the Balcomie Links. 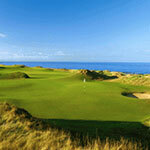 And while both are excellent tests, it is the Balcomie Links that is recognized as the slightly better layout. 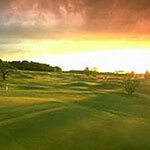 Ladybank Golf Club was established in 1879. 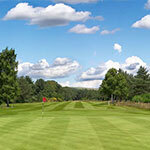 Another rare Scottish course that provides the golfer with a worthwhile alternative to the rugged links game, 1978 was a landmark year for Ladybank, when it was chosen as a British Open qualifying venue.